When she was governor of Manila, the former first lady deposited about 200 million US dollars in Swiss foundations. During the appeal Imelda Marcos can remain a member of the House of Representatives. Her congressional term ends next year, but she applied to replace her daughter as governor of Ilocos Norte. 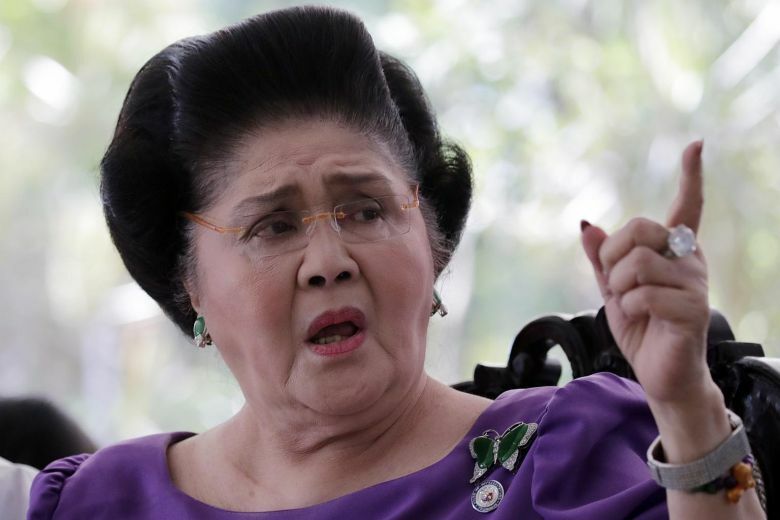 Manila (AsiaNews / Agencies) - The Sandiganbayan, an anti-corruption tribunal judging state officials, has ordered the arrest of Imelda Marcos, the 89-year-old widow of the dictator Ferdinando Marcos. The judges sentenced the former first lady between six and 11 years in prison for each of the seven counts against her. They correspond to as many illegal bank transfers: in the seventies, when she was governor of Manila, Imelda Marcos deposited a total of about 200 million US dollars in the accounts of Swiss foundations. The arrest warrant cannot be executed yet, because the woman can appeal the sentence. The court has banned the defendant from taking public office, but during the appeal Imelda Marcos can remain a member of the House of Representatives. Her third congressional term will end next year, but the former first lady has applied to replace her daughter Imee Marcos, 62, as governor of Ilocos Norte. The northern province is still the stronghold of the powerful Marcos family. Ferdinando Marcos governed the Philippines between 1965 and 1986, placing the country under martial law in 1972. During the regime, thousands of opponents were imprisoned, killed or disappeared. The dictator accumulated over 10 billion dollars while he was in office and died in exile in 1989. The current Filipino president, Rodrigo Duterte, enjoys good ties with the Marcos family and has often praised the deceased despot. In 2016, Duterte allowed the embalmed body of Marcos to be buried in a cemetery of special heroes and in official events is often accompanied by Imee Marcos.